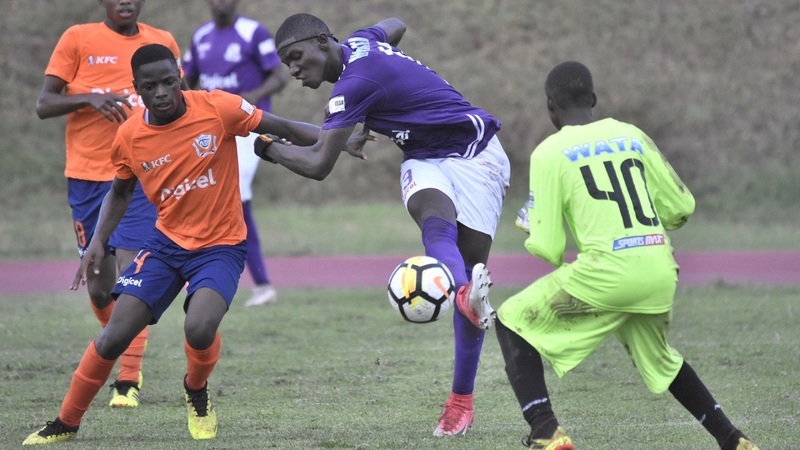 Last season's beaten finalists St Andrew Technical High School (STATHS) and Kingston College (KC) are among teams, which can book spots in the second round of the ISSA/Digicel Manning Cup on Match Day 17 on Friday. 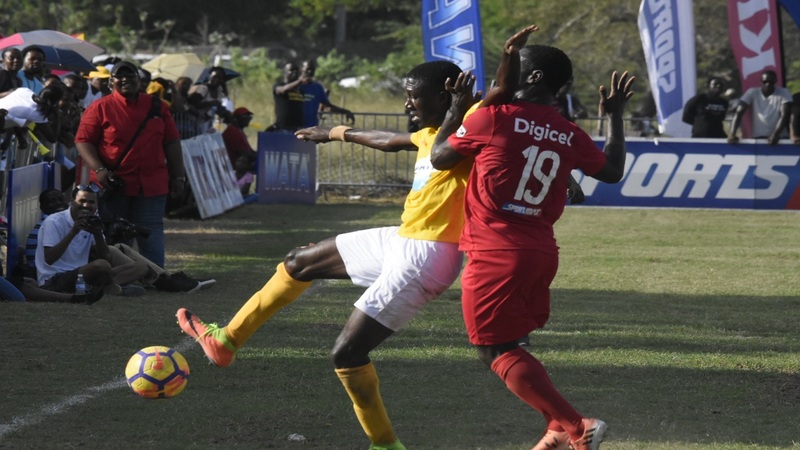 Thirteen matches will be played, weather permitting, with all scheduled to start at 3:30 pm, except the SportsMax televised game between Excelsior High and red-hot St Catherine High at Excelsior, which begins at 3:00 pm. Also looking to qualify for the second round on Friday are St George’s College and five-time defending champions Jamaica College (JC). Two schools in Camperdown High and Wolmer’s Boys have already confirmed their spots in the second round. STATHS need a victory at Cumberland High to confirm their spot in the second round. An interesting game looms as STATHS were held to a 1-1 draw at home by Cumberland High when both teams met for the first time on September 21. STATHS enter the day second in Group A on 15 points, four behind leaders St George's College (19) and four ahead of third-place Cumberland High with three matches to complete the preliminary round. A victory will carry STATHS to 19 points, which means that Cumberland High cannot finish ahead of the defending champions. That means STATHS will book their second round spot with two matches to go in the preliminary round. St George's College, winners of the competition on 22 occasions, can book their spot with the 19 points that they will enter the day with, providing that the match between STATHS and Cumberland ends in a draw. 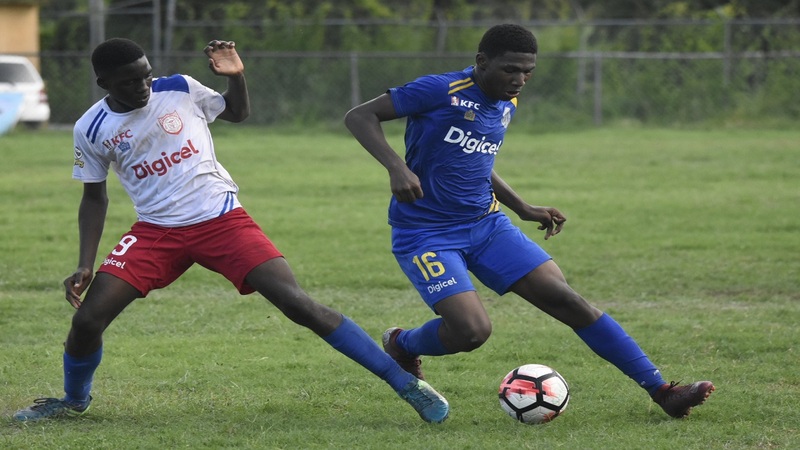 North Street-based St George's College will host out-of-contention Papine High, a team they beat 1-0 when they met for the first time on September 21. Over in Group B, KC - one of two teams in the competition with perfect records - will host Calabar High at the Stadium East field and a victory will confirm their second round spot. KC, which won the last of their 14 Manning Cup titles in 1986, are highly fancied to grab the three points needed against Calabar High after easily beating the Red Hills-based school 4-0 on September 18. KC enter the day atop the points' table with maximum 21 points from seven games, a five-point lead over second-place Mona High with three matches to go. Calabar High are in third place with 13 points and defeat could eliminate them depending on the result when Mona High visit Franklin Town Sports Complex to face fourth-place Clan Carthy High. In Group F, JC should achieve their second-round status when they travel to Campion College, a team they defeated 4-0 in the first leg. 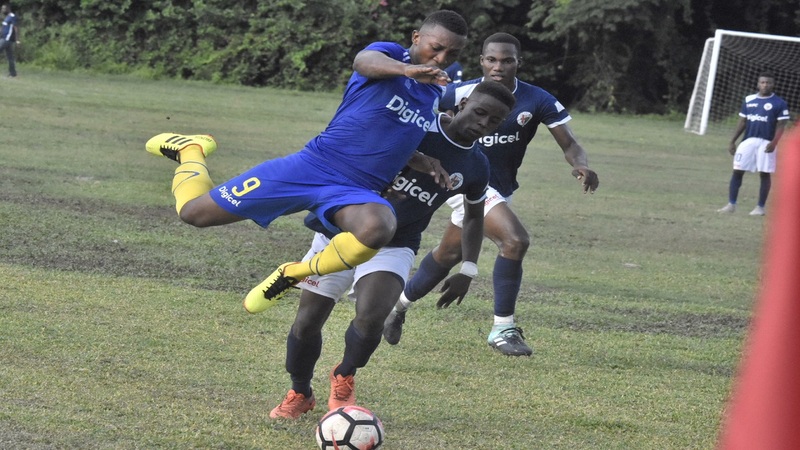 Hydel High defeated Kingston High 10-0 at Breezy Castle on Thursday to move to the top of the group on goal difference ahead of JC, as both are on 19 points. Third-placed Vauxhall High are on nine points from six matches. Hydel can also qualify on Friday. However, they will need second-from-bottom and out-of-contention Kingston High to beat Vauxhall. Meanwhile, St Catherine High - the other school with a perfect record - can also advance with a victory over Excelsior High, but that will also need an unlikely situation in that Haile Selassie would have to lose to bottom-place Oberlin High, which have only tallied two points from six matches.